Its no secret I have a love for Pizza. Even so much my 5 year old seems to know since he was "interviewing" me and asked what my favorite food was, I hesitated and he said its pizza! When I asked my son what he wanted to do on my next day off he said he wanted to have a pizza picnic at the park. I thought that was an awesome idea and it is something we try to do every so often. Some people bring sandwiches and chips to a picnic we bring pizza and bread sticks. Since Little Caesars is HOT-N-READY and affordable it is our go to pizza place for pizza at the park. We wanted to try the new Bacon Wrapped Crust Deep!Deep! Dish Pizza. Pizza and Bacon are always a delicious combo but this is the first time I have ever eaten a bacon wrapped pizza. I must say it was delicious. Its a very filling pizza like the deep dish I have eaten before just better cause there is bacon on it!! 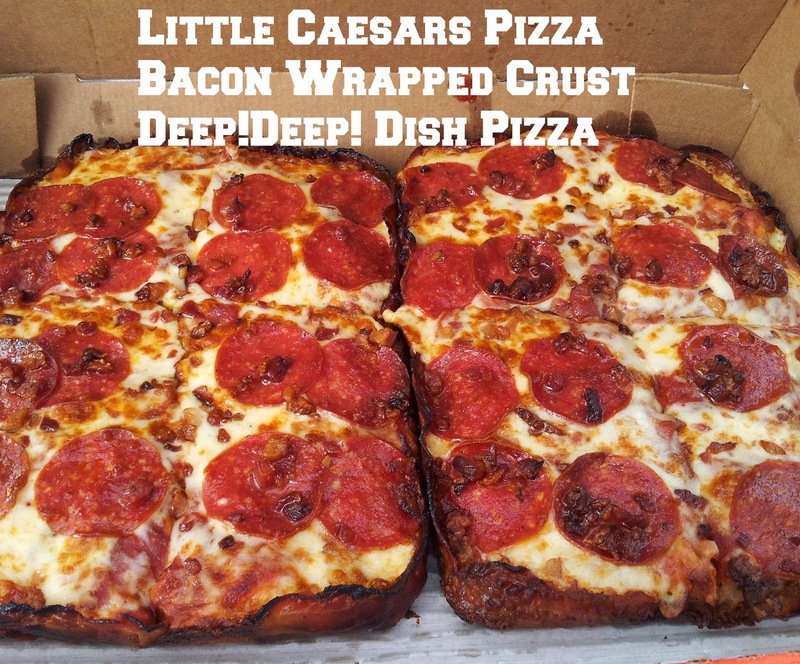 Little Caesars proudly introduces their HOT-N-READY Bacon Wrapped Crust Deep!Deep! Dish Pizza, for just $12 bucks. That’s a large, 8 crunchy corner slices of Deep!Deep! Dish Pizza topped with pepperoni and bacon, then wrapped in over three and a half feet of crispy bacon. No calling ahead or waiting for your pizza, because it’s HOT-N-READY everyday between 4pm to 8pm only at Little Caesars, world’s fastest way to pizza. Available for a limited time at participating locations, $12 plus tax. 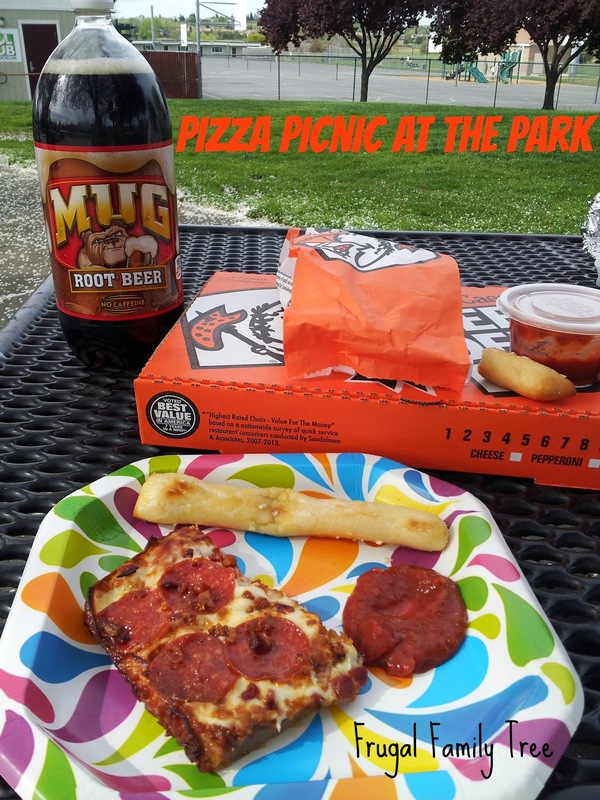 We had a wonderful time with our pizza picnic at the park and even had leftovers. My son was wanting seconds as soon as we returned home. You can find the nearest Little Caesars Pizza to plan your own pizza picnic or other pizza adventure by using the store locator. 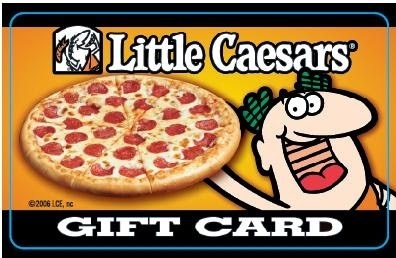 You can win a $20 Little Caesars Pizza gift card to have your own pizza adventure with the new Bacon Wrapped Crust Deep!Deep! Dish by entering the Rafflecopter giveaway below. *Limited to US residents 18 years old and above. Giveaway starts March 23 2015 and ends on April 6, 2015 at 12:01 am EST. Winner will be emailed and has 72 hours to respond before another winner is selected. I was not paid for this giveaway or post. The opinions on this item are 100% mine and may vary from others. The sponsor is responsible for providing the prize. I was sent gift card to review the pizza for this post. Pizza at the park with my daughter and granddaughters sounds great! I would take it to work to share with my coworkers. People always bring donuts and cookies for everyone to share. On a picnic date with my family! I would love to surprise my mom's coworkers (elementary school teachers) with this pizza for lunch! I would take it to the beach. I would take it to my couch and share with my husband while watching Turner Classic Movies. I would take it to my friends house and share it. I would take it home and share with hubby, thanks! I'd just take it home so I wouldn't have to cook dinner! I'd take it over to my friends' house! I would take it home to eat.